Great Wymondley is a little village situated in Hertfordshire. Come along to the Village Hall on Wednesday June 1st from 2.00 -4.30 for a chat and some tea and cake. If you want to bring your knitting, sewing etc at the same time please do so. You never know you may inspire someone to take up their needles etc! The Summer Fete will take place on The Green on Sunday June 12th starting at 2.00 pm with the church bells ringing. Please put this date in your diary and come along for the afternoon. There will be a variety of stalls and sideshows for your entertainment both familiar and new, including a Cake, Bric-a –Brac and Plant Stall. The Clog Dancers will be there as well as a Barrel Organ and delicious Cream Teas will be on sale from Castle Cottage. If you are a Dog Owner bring your dog or dogs along to take part in the Fun Dog Show to be held during the afternoon. The Art Exhibition and Sale will be held in the Village Hall during the Fete Weekend from 11.00. -6.00 pm each day. Why not come along on either of those days and admire the Art Work and perhaps find just the picture that you are looking for. If you have Christening gowns to display please contact Sarah Cannon (01438-352124) or Michelle Stokes ( 01462-434234). Please spread the word about the Christening Display if you know of people who were baptised in the Church here. They may have something for us to display and like to come along to the church. The plant sale will take place on the green on Sat 21st May from 10am until 12.30pm. Come along and stock up with plants for your garden. We watched the wedding on a huge screen in the church and on the green. There was a glass of sparkling wine straight after the wedding followed by delicious hog roast and salads. The women of Wymondley (WOW!) created an amazing spread of regal cupcakes and a centre piece wedding cake with a hand knitted Kate and William to decorate it. We had the pleasure of listening and dancing to a fab local folk band Tam lin. The after dinner entertainment came in the form of kids treasure hunt, wacky races (egg and spoon, sack race, water obstacles, 3 legged etc) and finally we played a royal game of wheelbarrow polo! Some of the men of the village also were daft enough to attempt the yard of ale contest!!! Our annual Village Fete is being held on Church Green as usual, at 2pm until 6pm on Sunday 14th June 2009. 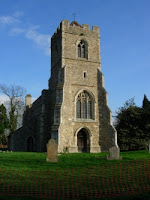 Bellringers will open the Fete at 2pm with welcoming peals from the tower of St. Mary's Church, and we hope everyone will take the opportunity to visit this very special old church, which has been extensively restored with funding from a major appeal last year. (The funding for this work was also bolstered by the contributions of many previous visitors to the Fete over recent years...). The Great Wymondley Fete is a traditional, family-friendly occasion with something for everyone, from Splat the Rat and Maggot Racing, to guess the Name of the Doll and Tossing the Bale. Our teas, with home-made cakes and scones are legendary! - as are Cherry Carter's amazing fudge and elderflower cordial, and very special home-made jams. New events this year - or back from the past - include Pony Rides and a Nature Trail and Quiz. Old favourites include a Bouncy Castle, Coconut Shy and Chocolate Fountain. There will also be a Fun Dog Show (does your dog have the waggiest tail?) and Clog Dancing. Also for the first time this year in conjunction with the Fete we are holding an Art Exhibition in the Village Hall (almost opposite the Green) with a range of pictures and images available to see and buy. This will include a demonstration on using pastels, given by Beryl Perriman, who teaches pastel drawing at Tim's Art Supplies in Hitchin. Car parking is conveniently provided in the centre of the village in the field next to Church Green. Although we are a very small village, the Great Wymondley Fete has a long history of success, and is open to everyone who'd like to join in and enjoy with us. For more than 20 years, historian and broadcaster Michael Wood has made compelling journeys into the past, which have brought history alive for a generation of readers and viewers. He is the author of several highly praised books on English history including In Search of the Dark Ages, The Domesday Quest, in Search of England and In Search of Shakespeare. He has over 80 documentary films to his name, among them Art of the Western World, Legacy, In the Footsteps of Alexander the Great, Conquistadors and In Search of Myths and Heroes. His most recent work is the epic 6 part television series The Story of India which aired on BBC2 in August 2007. Michael was born in Manchester and educated at Manchester Grammar School and Oriel College Oxford, where he did post-graduate research in Anglo-Saxon history. He is a Fellow of the Royal Historical Society. - a talk by Charles Ingham, Chief Crown Prosecutor, CPS Hertfordshire and Marion Bastin OBE, District Crown Prosecutor, CPS Cambridgeshire. Speaker Rhiannon Chapman ran a 'hobby' business for 10 years importing & selling wine, which was featured in the 'Which Wine? Guide'. Throughout her career she has been a popular speaker at conferences on a wide range of business management issues - her radio and television appearances have included 'Question Time', 'Any Questions', Women's Hour, Business Breakfast and being interviewed by Jimmy Young about business ethics. - A very popular talk from Mrs. Madeleine Phillips about her own experience. All the lectures/talks will be at 7pm in Great Wymondley Village Hall. Tickets are £5 and this will include a glass of wine. Tickets must be bought in advance! Welcome to the website of Great Wymondley, a small village of 150 residents situated in Hertfordshire. Please feel free to have a look at the calendar below for details on upcoming events. The village of Great Wymondley needs to raise £75000 by December 2007 in order to benefit from grants being given to restore the Church. Please do join in on any of the fun events we have planned or sponsor one of our members who are taking part in various events over the year. If you would like to see more pictures of St. Marys Church, you can either follow click here or follow the link on the right hand side. 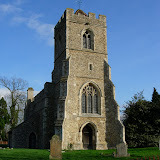 Click on the above image to see more of St. Marys Church. Concert - 16th September 2007 This concert by Hy C, the Hertfordshire Youth Charity Orchestra will take place in St. Ippolyts School Hall on Sunday 16th September at 6pm. The orchestra is made up of past and present pupils from Holwell, Wymondley and Samuel Lucas Primary Schools and their music is outstanding. They are very kindly doing this concert especially for our Restoration Fund. Tickets are Adults £4 Concessions £2.50. There will be refreshments and a raffle. If you would like tickets please contact Cherry Carter on 01438 724919 or you can buy them on the door on the evening.